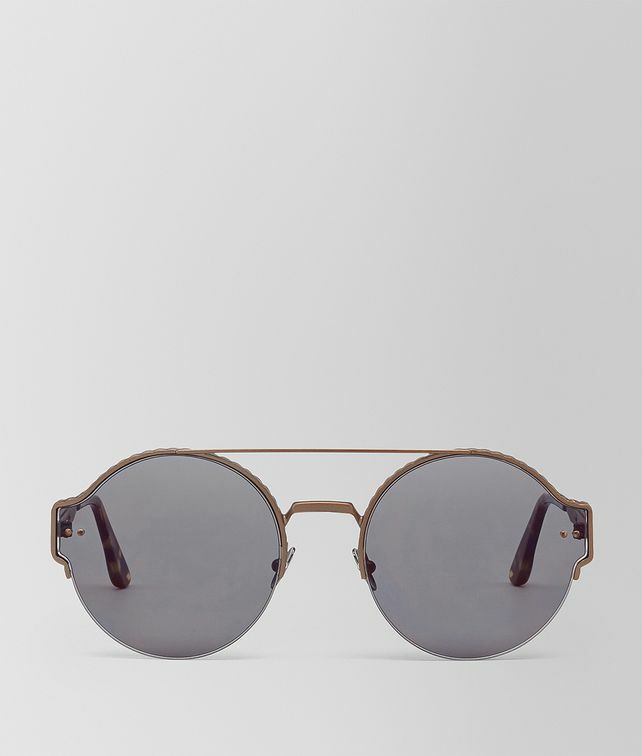 The sleek metal construction of these sunglasses makes a sophisticated style statement. The semi-matte platinum metal frame is finely engraved with the intrecciato motif and features custom metal nose pads and slim metal temples. Distinctive semi-spherical rivets accent the design, together with the Bottega Veneta logo subtly engraved on the hinge. Light grey lenses. Kindly keep the spare parts kit included in the box. This kit is to be used exclusively by professional opticians.